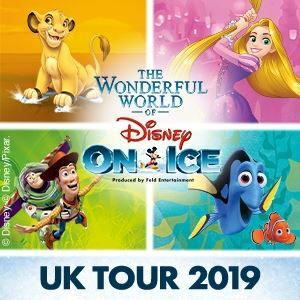 The final stages of the The Wonderful World of Disney on Ice take place at Cardiff Motorpoint Arena in April 2019. This fantastic live ice dancing spectacular will be at the Welsh arena from Wednesday 24 April until Sunday 28 April 2019 and tickets are selling fast. All your Disney favourites will be there including Woody and Buzz, Simba, Mickey Mouse, Nemo and Dory plus many more. 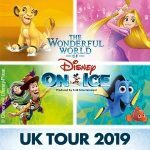 Disney on Ice are back in Aberdeen with their brand new 2019 tour The Wonderful World of Disney on Ice this March. All the gang including Mickey Mouse, Woody and Buzz from Toy Story, Simba from the Lion King as well as favourites from Finding Nemo and more will be at the Aberdeen BHGE Arena from the 20th until the 24th of March. There’s 9 shows to choose from including morning and matinee shows on Saturday 23 and Sunday 24 March. 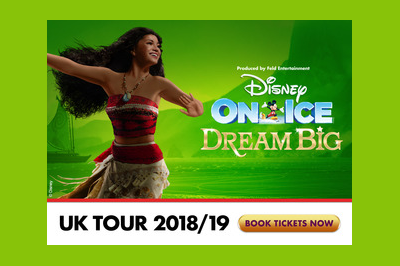 The brilliant family entertainment shows Disney on Ice are back at the O2 arena London with Dream Big a brand new show in time for the festive period. Featuring characters from Moana, Frozen, Tangled, Beauty and the Beast as well as a big birthday party for Mickey Mouse these shows will be incredible fun for all the family. The Dream Big shows run for these dates from Boxing Day into the New Year.